Stone Works LLC is your #1 source for commercial & residential masonry solutions in Arkansas including natural stone, Centurion Stone, brick, block, architectual precast, fireplace kits, accessories and other masonry products. Arkansan-owned and operated, Stone Works LLC has been serving Arkansas since 2005. Stone Works LLC strives to provide its customers with: Superior quality work Prompt service Reasonable and competitive pricing We always endeavor to exceed the expectations of our customers and we are dedicated to delivering maximum return on their investments. 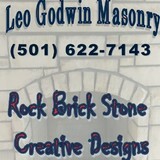 We take joy in demonstrating the unequaled value, beauty, flexibility and permanence of masonry. We act with absolute honesty, integrity and fairness in our business dealings. Why Choose Us? 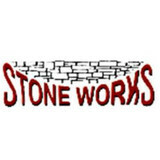 Stone Works LLC has always embraced three core principles: Quality Workmanship, Quality Materials and Reasonable Pricing. Consequently, we are well known for reliability and value. All of our work is backed by a workmanship warranty. 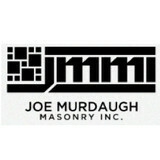 Joe Murdaugh Masonry, Inc.(JMMI) was established in 1986 and has been serving commercial, industrial and residential customers for over 26 years. JMMI can provide and install masonry products such as brick, block, precast, natural stone and cultured stone. JMMI has a dependable and skilled workforce and equipment to self perform work and handle any of your needs. We also utilize development and construction professionals to complete high-quality turnkey projects using a streamlined management process. HS Stonework & Landscaping has been delivering results for many years. Our goal is to provide both a superior customer experience and tremendous value for our customers. Horacio Santillan has over 25+ years of experience in Masonry Rock Work and Landscaping and is passionate about exceeding your expectations. We specialize in Benir Homes, Chimneys, Sea Walls, Retainer Walls, Waterfalls, Patios, General Landscaping and much more. Visit us today at 1295 Thorton Ferry Rd. Hot Springs, AR 71913. Office Hours are Monday-Friday 7am-6pm. Saturdays 7am-1pm. Sundays We are closed, however you may Contact Us by phone or email. Glamour-Krete Unique Cementious Flooring Concept Randal Allen d.b.a. "Glamour-Krete" Factory Authorized 'Elite-Crete' & 'Torginol' Products Applicator www.elitecrete.com www.torginol.com Industrial Products - Professional Installation Celebrating 17th Year Anniversary! 1997 - 2014 Welcome to the business that reworks existing dull, ordinary concrete floors and slabs into a beautiful and lasting creation. Our service transforms existing concrete surfaces into unique, individual concepts & works of art. Personalized Logo's also available! True Hand Craftsmanship! Applications and techniques include: 1. Decorative vinyl color chips, flakes 2. Quartz ColorGranules™ make resinous flooring as safe as it is ergonomic and decorative. 3. 'Reflector Epoxy Flooring Systems' easily creates colors and mottled patterning that cannot be achieve with any other flooring or staining processes 4. Decorative Polymer Cement Overlays or 'Hand Trowel Custom Floor Finishes" Glamour-Krete has a number of satisfied customers from New Orleans to Kansas City and is based in beautiful Hot Springs National Park, Arkansas. Our word is as solid as our concrete Planit Dirt Inc., we are a full-service concrete contractor serving residential and commercial clients in Central, AR and surround areas. We offer a full range of services and concrete work, including decorative and stained concrete, garages, patios, driveways, sidewalks, in-ground pools and much more! Planit Dirt, Inc. is family owned and operated by James Randleas and has been serving customers in Central Arkansas since 1999. We pride our reputation on involvement in every stage of construction, delivering personalized service and exceeding your expectations. We're Jacksonville's concrete contractor of choice. Exquisite stone veneer manufactured in Arkansas. We offer our manufactured stone at reasonable prices. We also can offer a turn key deal installed by our professional stone masons. For the most part, people hire a stone or concrete contractor for large installations like driveways and walkways, or for home facades and exterior columns. These brick, pavers or stonework installations can add lots of functionality and visual curb appeal to your Arkansas home. Pavers come in a wide variety of colors, shapes and sizes, and the right vendor or specialist can help you choose a color and design that complements your existing landscaping. From installing new exterior columns to repairing your chimney, masonry contractors can help you add both visual appeal and value to your property. They’ll know what kind of installation makes the most sense for your Little Rock, AR climate and regional style. Looking for something that will develop a patina with time? Or would you rather have your home feel brand new for years to come? Choosing the right kind of stone involves thinking about the future, too. Experienced brick suppliers and stone suppliers can help you find the material that will work for your home now and for years to come. These professionals aren’t limited to exterior work either. Whether you want a split-stone granite wall in the kitchen or need help installing traditional brick masonry on your fireplace facade, you’ll want a professional to get it right. If you’re already working with an architect or designer, he or she may be able to suggest a good Little Rock, AR subcontractor to help out. Here are some related professionals and vendors to complement the work of stone, pavers & concrete: Landscape Architects & Landscape Designers, Architects & Building Designers, Garden & Landscape Supplies, Driveways & Paving, Siding & Exteriors. Find stone, paver and concrete professionals on Houzz. 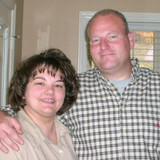 Search the Houzz Professionals section for Little Rock, AR stone, paver and concrete professionals. Browse photos and read reviews, and contact a pro if you like their work.